Whilst writing Volume 1 of the Soundtrack To My Life I wondered what music represented parts of other people's lives; whether they used music as a journey through life or if they hung onto pieces of music to help them anchor an emotion. I'm always on a journey of discovery through music enjoying finding new tracks and uncovering long-forgotten music as well as appreciating what is current. 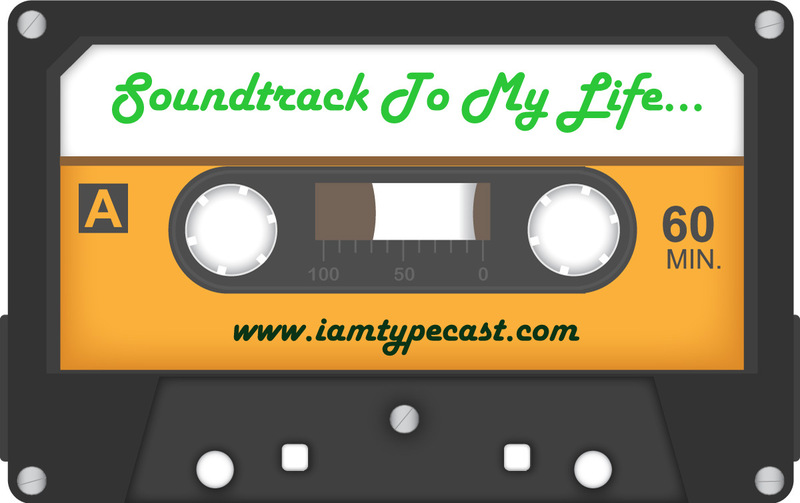 I have asked a number of friends to join me on this journey and tell me about their own Soundtrack To My Life. I am lucky to have Siân in my life for a number of reasons. She is a 1972 chick (the best vintage in my opinion *cough*), I'm extremely proud of her for single-handedly creating Cybher and just the fact that, as a true mate, I can say one word and she'll know immediately what I'm on about. Siân has battled her own demons in her life but that's not my story to tell. I did start to worry a bit that she seemed to be choosing extremely depressing songs - she even said to me, "I've just realised that my tracks are pretty depressing! They make me happy though" and I completely resonate with that. However, I got to track four and order was restored. Here's what Siân has to say about the songs that she's chosen. I used to love this song when I was a child. My dad used to play it all the time. He used to do this thing on a Sunday evening where we would be allowed into the front room (the only time we were) and he would play a few bars from songs and we had to guess the name of the song. This was always my favourite. I was intrigued by the tragedy of it all! My teenage anthem. I descovered The Smiths in 1983 when I was just 11 years old and they have been the one band that has remained with me throughout my life. A week doesn't pass without a Morrissey track for me and picking just one track is really tough. I used to have the 12" version of this single on repeat on my record player as I went to sleep every night for 2 years. The intro is about 12 minutes long on the extended version and I felt at one with the haunting cries. Another 80's favourite track. Martha's Harbour was the soundtrack to my solo choreography in my GCSE dance exam. I forgot about it for many years but heard it randomly on the radio a couple of months ago. A child of the rave generation and Higher State of Consciousness is the track of my lost rave years! Crank up the volume, you have to listen to it so loud that your ears are left ringing. My big brother introduced me to the beautiful voice of Nina Simone when I was a teenager. She sings Mr Bojangles like no one else. This track works especially well when played right after Higher State of Consciousness. Freaks you out! You can find Sian over on one of her blogs - Mummy Tips or Geek Is The New Chic - or follow her on Twittter as @geekisnewchic.